Now THIS is a Musical Drum Solo! An amazing drum piece from the makers of Animusic. Ok, so it’s not exactly the real thing but it is fun! If you’re stranded at the airport, waiting for a ride or simply taking a long (ahem) time in the restroom, the Drum Meister iphone app will keep you occupied. New Drum Lessons just added to our videos section at DrumChat.com. These are nice! Drums that have been professionally airbrushed. Great design! Every few years a really unique product comes on the market for drummers that really helps change the way we’ve been doing things. 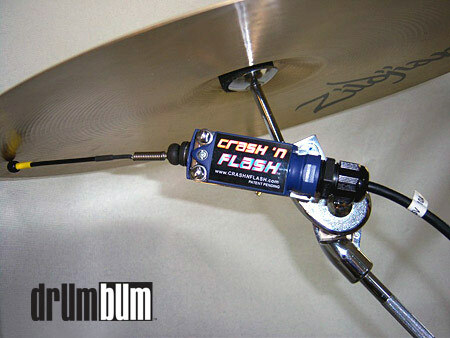 The Crash n’ Flash drummer light control system puts the light show in our hands!